Southern California is famous for its sandy beaches, beautiful views and a relaxed lifestyle. Get away to one of these stunning cottages, hotels and inns for a weekend of pampering and rejuvenation in a beautiful setting. Take romantic walks with ocean views, request a massage in the privacy of your room, go hiking, swimming, or play golf. End the day with a romantic dinner featuring delicious farm-to-table cuisine. Venice Beach Eco-Cottages are a trio of technicolor eco-bungalows that offer an inspired and health conscious alternative to the standard hotel experience. Located just four blocks from world-renowned Venice Beach, these solar-powered urban retreats are ideally situated for exploring the famous bohemian-chic shopping district of Abbot Kinney Blvd. 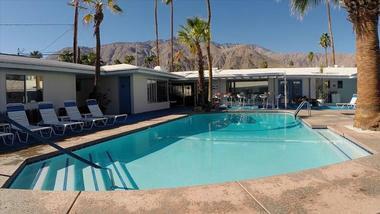 Korakia Pensione in Palm Springs offers an exclusive Mediterranean-style retreat in the heart of Palm Springs. Dating back to 1924, this luxurious villa combines the exoticism of North Africa with a touch of the Mediterranean to create an idyllic getaway like no other. Stylish, beautifully arranged suites are decorated with either Moroccan or Mediterranean themes complete with cool stone floors and wooden beamed ceilings, romantic four poster beds and fully stocked kitchenettes, spacious living areas, and private balconies or patios. Middle Eastern lanterns and ornate antique furnishings add a touch of glamor while high-speed Internet offers modern comforts. 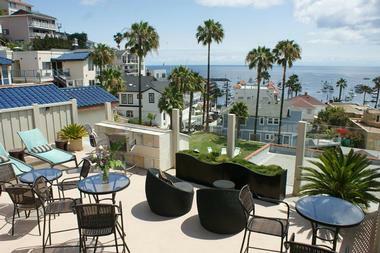 Established in 1929, La Casa del Camino is a historic Mediterranean-style boutique hotel in the heart of Laguna Beach. 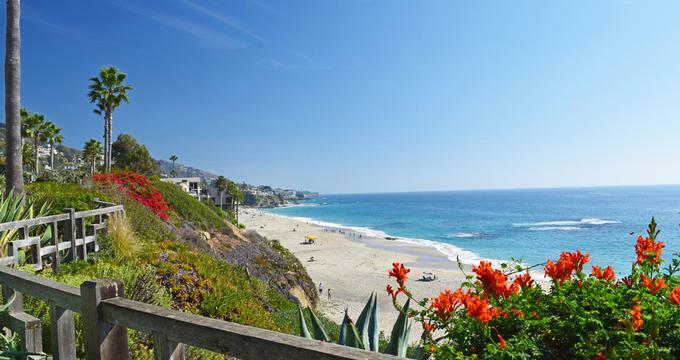 Once a favorite escape for the Hollywood elite, this elegant seaside hotel is just a block from the beach and a short walk to downtown Laguna. European sized Spanish-style guest rooms make this hotel an excellent choice, and its individually decorated surf-themed rooms with hand carved furnishings, comfortable décor, and modern amenities, including flat screen televisions, air-conditioning, mini fridges, and free wireless Internet, are sure to impress. With incredible views over the Pacific Ocean, Bacara Resort & Spa is a luxurious Mediterranean-style resort and spa just outside of Santa Barbara. Exquisite Spanish colonial-style rooms are the picture of elegance and refinement, with flowing, open-plan living spaces, plush beds fitted with imported linens, and lovely en-suite bathrooms with walk-in showers and soaking tubs. Guests will definitely appreciate the private balconies that overlook magnificent ocean views. Some rooms offer fireplaces while suites have ample living rooms and pullout sofa beds for extra guests. Inspired by the adventure and wanderlust associated with the great American road trip, Autocamp Santa Barbara is a unique and unrivaled boutique Airstream hotel experience. Providing an appealing refuge for road trippers since 1922, this quirky hotel combines modern design with classic Americana style to create an exceptional lodging experience. Five Airstream trailers have been renovated with sustainable materials to create snug havens in which at least four people can sleep. Each unit features the creature comforts found in traditional lodgings, such as modern fixtures and electrical appliances, en-suite bathrooms, and an outdoor barbecue grill. Each Airstream comes with two complimentary retro-style beach cruisers, which can be used to cruise around the area. Rates start at $210 per night. Loews Santa Monica Beach Hotel is a stylish getaway with an eco-friendly spa, beautiful public spaces and a romantic restaurant with ocean views. There are 347 newly redesigned guest accommodation at the hotel, providing the ultimate comfort for every individual need. Each room has work stations, Wi-Fi, and a 48-inch flat screen TV in the living area. The 35 rooms and suites with personal fire pits on their outdoor patios are ideal for a romantic getaway. Nestled among old oak trees, Inn Paradiso is located just outside of Paso Robles halfway between Los Angeles and San Francisco. Uniquely constructed from wood and hand-forged metal, the Inn Paradiso combines rustic elegance with eclectic modern design to create an exclusive and intimate boutique hotel. Three individually decorated suites and a spacious loft are furnished with mid-century furniture, antiques, artworks, and photography. King size beds are fitted with luxury linens and designer textiles, and guests will surely appreciate the gas fireplaces and private balconies with captivating views of the surrounding oak trees. A mini fridge, French coffee press, iPod docks and free Wi-Fi offer creature comforts and a complimentary organic breakfast is served each morning. Situated in the lush hills of the Avila Valley on California’s Central Coast, Sycamore Mineral Springs Resort and Spa offers a tranquil escape from the hustle and bustle of the city. Surrounded by verdant forests, meadows, and undulating hills and within walking distance to the beach, this historic property promises an unforgettable spa retreat experience. Well-furnished guestrooms and suites (including a 3-bedroom guesthouse for larger groups) feature spacious living areas, cozy bedrooms, elegant décor, and comfortable furnishings. Additional highlights include private balconies or patios and hot mineral spring tubs. Sumptuous seasonal cuisine is served in a casual, relaxed setting at the Gardens of Avila Restaurant while the Healing Arts Dome offers daily yoga, Pilates, and Tai Chi classes. Built in 1947, Del Marcos Hotel in Palm Springs is an intimate, adults-only hotel in the Historic Tennis Club district and is located within walking distance of downtown Palm Springs. Bright and airy guestrooms boast unique décor with trendy midcentury-modern accents, sleek terrazzo flooring, en-suite bathrooms with showers and baths, and private balconies or patios with dazzling views. Guests have access to convenient modern amenities such as flat screen televisions, mini-fridges and free wireless Internet, while suites enjoy spacious living rooms and small kitchenettes. After savoring a delicious complimentary breakfast, relax in one of the private cabanas next to the heated saltwater swimming pool, indulge with luxurious in-room spa services, or grab a beach-cruiser bike and explore the area. Rooms start at $149 per night. Mid-century vintage meets modern chic in this sleek, boutique San Diego hotel. Conveniently located near the Gaslamp Quarter and some of the city’s most popular tourist attractions, the Pearl Hotel offers guests an inviting and intimate retreat like no other. Twenty-three artistically furnished accommodations evoke the mid-century aesthetic of '60s Palms Springs, ‘70s Los Angeles glamor, and today’s hip and contemporary downtown San Diego scene. Designer platform beds, vintage-modern décor, and en-suite bathrooms featuring freestanding showers and chrome fittings create comfortable abodes while LCD televisions, iHome, and free Wi-Fi add modern comforts. The Inn on the Beach in Ventura is a boutique hotel that looks out onto spectacular ocean views that give onlookers a profound sense of. All twenty-four of the rooms on all three floors are comfortably furnished. First floor rooms have enclosed patios, while second and third floor rooms feature balconies. Every room has a gas fireplace, a flat screen LCD TV, and free Wi-Fi. Situated on the scenic Ocean Avenue in Santa Monica, the Shore Hotel is a sleek, eco-conscious boutique hotel with a beautiful beachfront setting. Perfect for environmentally conscious guests seeking a luxurious experience, this hotel caters to those looking for a variety of events and leisurely activities. Guests can stay in one of 164 efficiently designed guest rooms or one of 20 luxury suites. Both options feature sustainably sourced décor, and the luxury suites have imported linens and private balconies or patios with unobstructed ocean views. Modern amenities abound, including flat-screen televisions and wireless Internet, and the hotel offers guests use of a fitness center, swimming pool, and business center. Dine at the Blue Taco, which features a farm-to-table menu and serves cuisine made from locally sourced Santa Monica produce and organic meat products. The restaurant also has an impressive wine list and cocktail program. The hotel is conveniently located near some of the most exciting areas of the city – it’s just blocks away from Santa Monica Pier and downtown Santa Monica, and it’s within walking distance of the beach. Rooms start at $329 per night. 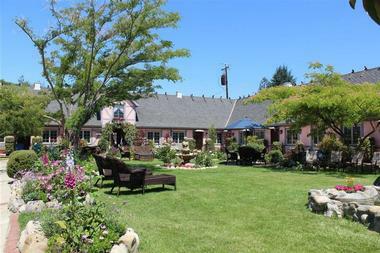 Madonna Inn in San Luis Obispo offers guests a one-of-a-kind experience jut off the California coast. The inn has a total of 110 creatively decorated hotel rooms, all featuring their own unique theme complete with enchanting décor and private bathrooms. Every room has a flat screen TV with cable, free Wi-Fi, a coffee maker, and a refrigerator. Guests are also provided with cozy terry bathrobes. They can also relax and enjoy the Spa during their stay, indulging in services from massages, to waxing, to body scrubs. Guests have access to a fitness center, an outdoor pool, and tennis and basketball courts. Other activities include horseback riding or simply taking a nice stroll through the lush garden. In the morning, head down to the Copper Café & Coffee Bar, where you will be greeted by an old-world charm, freshly baked breads, and even gluten free and vegetarian menus. For those who would prefer pit barbequed steak, seafood, or chicken, the Silver Bar Cocktail Lounge offers wine and appetizers and sits right beside the Gold Rush Steak House. Rooms start at $199 per night. Day trips in CA: 25 Best Romantic Things to Do in Los Angeles. 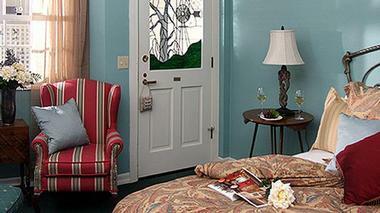 The Ballard Inn and Restaurant bed and breakfast is an elegant locale that will delight visitors. The inn has fifteen uniquely decorated rooms, each with soft linens and cozy seating where guests can relax. All rooms have private bathrooms, antique furniture, and down duvets. Many also feature private balconies and wood burning fireplaces, features that will appeal to those looking for a slightly more luxurious experience. Guests can make themselves at home in the public sitting rooms or they can lounge in the deck and read or mingle with the other guests. The Inn can arrange for bike rentals and suggest activities and events of interest, including recommendations for local spas. A full breakfast is served in the dining room every morning with a buffet of fresh fruits, pastries, and hot entrees. The Restaurant opens in the evenings for a formal dinner, with tantalizing entrees such as buck breast with Thai coconut curry and grilled beef tenderloin with hush puppies. Rooms start at $265 per night. 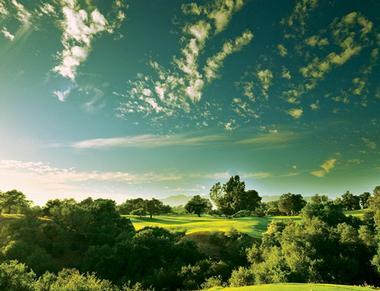 Dating back to 1934, Ojai Valley Inn & Spa is a luxury Southern California resort that features an award-winning on-site spa and championship golf course. Close to the Los Padres National Forest and just 18 miles from Ventura, this refined Spanish hacienda-style inn and spa promises an unforgettable stay. Well-appointed guestrooms and suites are contemporary and stylish, with large beds, plush linens, and separate bathrooms with beautiful bathtubs and ample rain showers. Many rooms have cozy fireplaces and private balconies with breathtaking views while suites incorporate attractive deluxe additions such as whirlpool baths, separate kitchens, and living areas. Find more things to see & do in California. Viceroy Santa Monica in Southern California is a sophisticated getaway with contemporary atmosphere in a coastal setting. Private cabanas make lounging by the pool comfortable and relaxing. The property has 163 guest rooms and suites, many with ocean views. Guest accommodations are equipped with custom beds with down comforters, Italian Designer linens and large showers. Cast restaurant has an outdoor patio where you can enjoy sunsets and internationally-inspired cuisine. 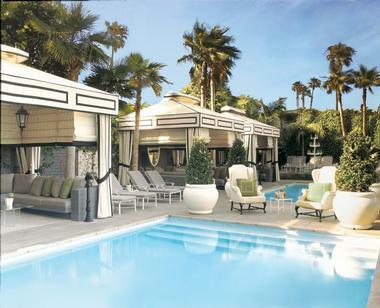 The chic poolside cabanas can accommodate up to 10 guests for a private party. Third Street Promenade offers shopping and restaurants, and Main Street has art galleries, cafes and antique shops. The property has a fully equipped fitness center which lets you stay in shape while you travel. If you are traveling with children, visit the Santa Monica Pier which has a carousel and roller coaster. Room rates vary by season, starting at around $389 per night. 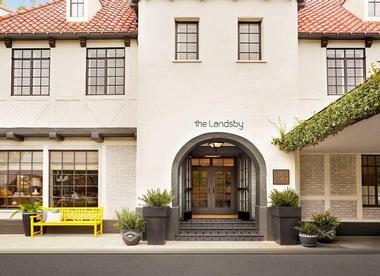 Located in the Danish inspired town of Solvang, The Landsby brings a little bit of Scandinavia to its guests. With 41 rooms, the modern hotel is larger than most in the area and is decorated in a combination of Danish and Western motifs. 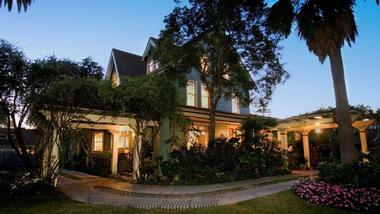 Santa Ynez Inn is a 20 room gem of a bed and breakfast in the beautiful hills of wine country. Each room is uniquely designed and decorated, and features such luxuries as steam showers, fireplaces and private balconies. The Inn is described as comfort plus sophistication in a dream location. 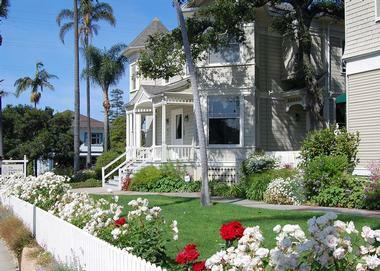 A collection of Victorian houses and cottages, The Cheshire Cat Inn offers 18 unique accommodations in the heart of Santa Barbara. 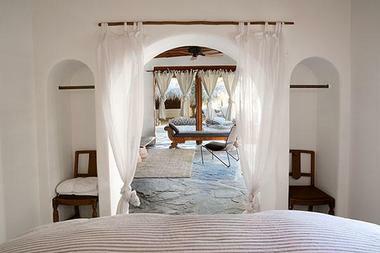 Choices of rooms include King and Queen rooms, a suite, a studio and several cottages. Regardless of their choice, guests enjoy charming, spotless, quiet and spacious rooms that offer all the modern amenities of a five-star hotel. A sumptuous, extensive continental breakfast is served on the patio daily and wine and cheese are provided in the afternoon. Quality service and a location allowing easy access to shops and restaurants round out the picture of this superb bed and breakfast. This collection of ten cabins harkens back to a bygone era in Southern California when beach front cottages were the norm. 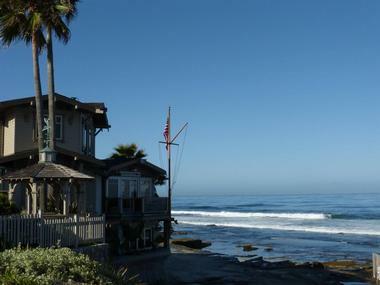 Located in the prosperous town of La Jolla, the property is surrounded by multi-million dollar condos yet retains the feel of a comfortable and cozy beach cottage community. Solvang Gardens is located just steps from the shops and restaurants in quaint Danish-themed Solvang. This boutique oasis has 24 rooms and spacious, secluded gardens overlooking the surrounding rolling hills. A contemporary hotel with a bed and breakfast feel, The Aurora Hotel & Spa is a charming and peaceful place to stay on Catalina Island. The experience comes with many amenities one would expect, such as an extensive continental breakfast and in-room Internet access. Take a step back in time in this quirky, retro hotel with all the modern conveniences. Palm Springs Rendezvous is a 10 room boutique hotel that offers guests the chance to experience Palm Springs as it once was. The hotel offers many extras to entice visitors including a 3-course breakfast, free happy hour appetizers and cocktails by the pool and complimentary bikes for exploring Palm Springs. An on-site massage studio caters to both individuals and couples. Fun, funky and friendly, this location is an adventure. The Bissell House Bed and Breakfast is an eight-bedroom, three-story Victorian home in the heart of Pasadena is located on the famous “Millionaire’s Row” and in a highly walkable area. Each of the rooms is decorated in Victorian-style and provides romantic, old-world charm. Each morning features a special cooked dish for breakfast as well as traditional continental breakfast fare. A living room, dining room and library are all provided as common areas for relaxing or meeting fellow guests. Tea and cake are available in the afternoons. The Bissell House also has a secluded pool and patio for guests to use. 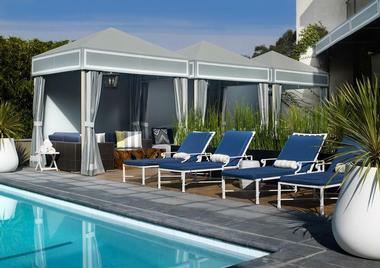 Le Meridien Delfina Santa Monica is a stylish hotel, offering guests an outdoor pool with cabanas and stylish accommodations. The property offers rooms with scenic ocean views, as well as suites with marble bathrooms and outdoor Jacuzzis. Club level guests receive free access to the fitness center, free breakfast, drinks and hors d'oeuvres. Poolside cabanas can be booked for a full day of relaxation in the Californian sun. Two dining options include the Lobby Lounge which is casual and serves light fare throughout the day. I-Cafe & Surf Bar serves Californian cuisine. Rates start at $245 per night. Southern California is best known for its sun, sand, and surf, but this southwestern coastal area is also a cultural hub heavily influenced by the massive film industry in Hollywood. There is much to do in the major city of Los Angeles, with the spotlight on movie-centric stops like Universal Studios Hollywood and the Warner Bros. Studio Tour. Theme parks like Disneyland, Knott’s Berry, Legoland California, and SeaWorld San Diego make for thrill rides galore throughout the region. And for something more focused on art and architecture, the many moguls of Southern California have bequeathed their beautiful estates and artistic collections for the public to enjoy today. In short, this part of the country is more than just movies and stars; it has a little something for everyone. Disneyland Resort is the overarching entertainment resort that houses the Disneyland Park and Disney California Adventure theme parks, as well as three hotels and Downtown Disney, a shopping and dining district. Disneyland is a 100% Disney-focused amusement park and the first built on the complex, as it dates back to 1955. Disney California Adventure came about much later in 2001, and this park is devoted entirely to celebrating the state of California, with elements of the Disney brand peppered in among famous California landmarks. The Downtown Disney area, which makes longer stays at the resort more convenient, is packed with Disney-themed and ordinary retail stores, as well as eateries ranging from fast food joints to sit-down restaurants. The Getty Center is an entire educational campus area on a hill overlooking the city of Los Angeles. The campus houses a number of buildings, including one of the two locations of the J. Paul Getty Museum. To reach the center and its accompanying structures, visitors park their cars in a lot at a lower elevation and take a funicular cable car ride up to the hilltop. The museum houses a diverse, extensive collection of art that incorporates sculptures, drawings, manuscripts, photographs from three continents, and a set of pre-20th-century paintings. Perhaps the most famous of these paintings is Vincent Van Gogh’s Irises. Outside at the center, there is a large sculpture garden. The Gamble House in Pasadena, California is a National Historic Landmark and architectural museum. 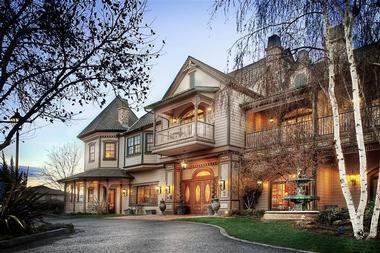 The house was originally built between 1908 and 1909 for David B. Gamble, one of the company heads of Procter & Gamble. The beautiful wooden home is three stories high and provides an unparalleled example of the American Arts and Crafts architectural style. This movement in architecture highlighted natural materials and a focus on detailed craftsmanship. In keeping with this tradition, the Gamble House has interiors lined with features made from different types of wood, which are shown off by the natural light allowed in by large windows. The property offers group, docent-led, and specialty tours. Balboa Park is a large public green space in the city of San Diego. Covering 1,200 acres, the park has a great number of attractions, including vegetation areas, open spaces, and walking paths, as well as more built-up structures such as museums, theaters, and the San Diego Zoo. Among the museums in the park are the San Diego Natural History Museum, the San Diego Air and Space Museum, and the Reuben H. Fleet Science Center. There are also a number of botanical gardens with different themes such as the desert and the California and Australia ecosystems, as well as Japanese-style and rose gardens. Additionally, visitors can enjoy theme park attractions while at the park. Huntington Library is part of a larger complex in San Marino, California that also contains botanical gardens and collection of art. Although the entire grounds are worth a peek, the library itself is a treasure chest of 420,000 rare books and seven million manuscripts. Huntington Library is in fact a research library with rare books, manuscripts, prints, photographs, and similar items as its primary specializations. Its works span periods from the Middle Ages to the present, with several concentrations. The English Renaissance and the American Southwest are represented especially well. In addition to its shelves of books and manuscripts, the library’s most famous pieces, such as the Ellesmere manuscript of Canterbury Tales, are laid out in special glass cases for easy viewing. The La Brea Tar Pits are a group of tar pits situated in Los Angeles’ Hancock Park. Despite their location in an urban center, the pits are a well-known attraction because of what they show about nature. The tar that has seeped up to the surface from underground here has trapped bones from different animal species over the course of centuries. Visits to the pits include excursions to a number of different areas. Guests can tour curated pits, learn about the fossilization process, see experts carrying out up-close research at the center, and even travel back in time to meet creatures from the Ice Age. The Los Angeles County Museum of Art, also known as LACMA, is an art museum located on the city’s Museum Row close to the La Brea Tar Pits. Established in 1910, LACMA is the largest art museum in the western part of the United States. The 150,000 pieces housed in the museum’s collection cover a wide timespan from ancient eras to the present day. This art museum certainly has a high pedigree; works include projects by famous artists such as Joan Miro, Wassily Kandinsky, and Alexander Calder. It also incorporates several permanent installations such as Chris Burden’s Urban Light sculpture. SeaWorld San Diego is a family-friendly, exciting theme park that specializes in marine life, with animal residents from many different species such as penguins, killer whales, walruses, polar bears, and otters, to name just a few. With over four million visitors each years, SeaWorld San Diego is a massive complex with all kinds of things to do. In addition to the famous shows featuring orcas, dolphins, and other sea creatures that have made the park famous, SeaWorld is also home to natural marine habitats, such as Dolphin Point and Turtle Reef. The park also has splash and play areas for the little ones and large thrill rides for adventure seekers. Legoland California in Carlsbad, California is truly a Lego lover’s fantasy. The resort is composed of an amusement park, a water park, an aquarium, and a hotel. Legoland is divided into several areas, including Imagination Zone, Miniland USA, Pirate Shores, and Fun Town. The activities in each area are targeted towards younger children, and they serve as the location for performances, rides, walk-through attractions, and other games such as mini golf. All are accompanied by various Lego creations, including miniatures of famous world monuments like the Eiffel Tower, Golden Gate Bridge, and Taj Mahal. Legoland features many of Lego’s individual collections in its attractions, including Lego Friends and Duplo. The USS Midway Museum is located just off Navy Pier in San Diego, California, where it presents the USS Midway aircraft carrier, the longest-serving ship of its kind in the 20th century and the only to operate during the entirety of the Cold War. The Midway was in operation from 1945 until 1992, and 200,000 soldiers have served on its decks. The ship museum has an extensive collection of US-made naval aircraft, which are located in its hangar deck. Visits to the USS Midway include a self-directed audio tour. During the tour, sailors who used to work on the ship talk about its history and describe different areas of the carrier, including its sleeping quarters, engine room, and galley. The San Diego Zoo, which is located in San Diego’s Balboa Park, is world famous as one of the first zoos to utilize an open-air, no-cage concept. Opened in 1916, the zoo prides itself on housing animals in large spaces that mimic their natural habitats. To navigate the complex, one can travel via the zoo’s own buses or on its Skyfari suspended gondolas. The exhibits are separated by habitat, and many of the animals thrive in San Diego’s warm, temperate climate and do not need any artificial conditions. In addition to populations of elephants, tigers, gorillas, bonobos, and hundreds of other species, the zoo is also known as one of only four US zoos with giant pandas. The largest rotating tram in the world, the Palm Springs Aerial Tramway offers users fantastic views of Chino Canyon near Palm Springs, California. The tram runs between two stations: the lower Valley Station and the upper Mountain Station. It takes twelve minutes to get to the top, and during that journey, riders pass through five biomes, beginning in the desert and landing in an alpine forest. At the peak of the tramway, visitors can enjoy a range of outdoor activities to experience the Mount San Jacinto State Park and Wilderness Area. There are 54 miles of hiking trails, and guided nature walks and winter sports are available. The Huntington Library, Art Collections, and Botanical Gardens in San Marino, California bring together gems of nature, art, and architecture in a beautiful display for guests. The institution is home to a library, a botanical garden, and a large collection of art. The library building is a beautiful work of architecture created in the Mediterranean Revival style. It is home to a number of treasured items such as copies of the Gutenberg Bible, manuscripts by some of the founding fathers, and drafts of Henry David Thoreau’s Walden. The botanical gardens, which cover 120 acres of land, are divided into several special areas, including Chinese and Japanese gardens. As for the collection of art on the territory, it focuses mostly on American art from the 17th to 20th centuries and 18th- and 19th-century European works. The name William Randolph Hearst is synonymous with the development of the print journalism industry, and this newspaper tycoon certainly lived the high life at his California estate. At its peak in the 1920s and 30s, the Hearst Castle was a happening spot for Hollywood elite. It was located far from major cities, and guests were often flown or driven in via private vehicles. The estate borrows architectural styles from Europe, a fact most obvious in its famous Roman-inspired Neptune pool. While operational, the mansion had dozens of bedrooms and bathrooms, a movie theater, several swimming pools, and even a private zoo, some of the animals of which continue to live on the grounds today. Now part of a state park, the castle’s rooms and gardens are open for tours. Manzanar National Historic Site is the site of a former camp where hundreds of thousands of Japanese were forcibly held during World War II. The camp, which sits between the towns of Lone Pine and Independence, was in use as an internment facility from 1942 to 1945. Today, the area, which is considered a U.S. National Historic Landmark, has its own dedicated visitor center with 8,000 square feet of exhibits. The display here discusses the history of the site from 1885 to the present, but it focuses on the World War II-era period and Manzanar’s use as an internment camp. Guests can also get to know the outdoor areas of the territory on a self-guided tour. The original Disneyland Park is one of Southern California’s most famous destinations. Located in Anaheim, the park was built in 1955 with direct supervision by the creator of all things Disney, Walt Disney himself. The 85 acres of the theme park are broken down into eight fantastical “lands,” including Main Street, U.S.A., Mickey’s Toontown, Frontierland, and others. Each area has a number of rides, games, shows, and shops, all of which adhere to their designated themes. Famous Disney characters roam the walkways to meet and greet guests during their visit, and visitors can ride through the park on its signature Disney Railroad or via the Disney Monorail System. Universal Studios Hollywood in Los Angeles is both an operational film studio and a theme park tourist attraction. Patrons can tour one of the studio’s working back lots on a convenient tram or check out one of the many shows on topics like special effects and furry, four-legged stars of the big screen. The lots also have rides featuring characters from some of the most famous films of recent history, such as Jurassic Park, Transformers, and Despicable Me. An entire section dedicated to the Harry Potter series, known as The Wizarding World of Harry Potter, serves as its own separate area with live shows, thrill rides, and a gift shop. Griffith Observatory is a popular Los Angeles tourist attraction sitting atop Mount Hollywood in Griffith Park. Because of its hillside position, the observatory looks out onto clear views of downtown Los Angeles, the Pacific Ocean, and the world-famous Hollywood sign. The domed observatory has its own planetarium and many science-related exhibits within its walls. The displays discuss space and our understanding of the cosmos, while the planetarium has showings of a number of films on the same theme. Outside, the facility has a set of telescopes for public use, and once a month, the observatory hosts a star party for astronomy enthusiasts. Despite what the name seems to suggest, Knott’s Berry Farm is not a farm at all, but rather an amusement park with rides and games. Still, the park did grow out of a family berry farm, which expanded over time and added more and more attractions to draw in the crowds. Knott’s Berry claims to be the first theme park in the United States, and over its almost 100 years of operation, it has grown to host 40 rides, including rollercoasters, children’s rides, and water rides. The park has a historical theme with pioneer-themed activities such as gold panning, a blacksmith shop, and a one-room schoolhouse on the premises. Since 1983, Knott’s Berry has also maintained a connection with the Peanuts gang, and to this day, Snoopy and his friends roam around to meet guests. Situated in Pasadena along the famed Rose Parade route, the Norton Simon Museum brings together works of art from different countries, traditions, and time periods in a stunning and diverse collection. The museum began with founder Norton Simon’s personal collection of European art spanning the Renaissance to the present day, but it now includes permanent exhibits with over 12,000 pieces of Asian art, modern art, and prints and photographs as well. The Norton Simon Museum has works from several big-name artists such as Rembrandt, de Goya, and Picasso, and it also features an outdoor garden, which has a pond and a display of sculptural pieces. California Science Center, a huge, interactive science museum, is ideally situated in Los Angeles near both the city’s natural history museum and the University of Southern California. The science center’s permanent exhibits are very diverse in nature, with themes including live animals and ecosystems, construction and engineering, the human body, and air and spacecraft. All of these areas encourage hands-on play with the items and activities on display. One of the most awe-inspiring exhibitions here is the Endeavour space shuttle, which sits just above eye level in a large hangar. The museum has an ever-changing schedule of special temporary programs and an IMAX theater that screens topical film presentations. The Living Desert Zoo & Gardens in Palm Desert, California combines the experiences of botanical gardens and the zoo in one beautiful display of both flora and fauna. Living Desert itself is located in the Sonoran Desert, but it has exhibits with plants from other desert ecosystems as well, including the Mojave and Colorado deserts. Additionally, focused gardens home in on a single plant such as the palm or yucca with dozens or even hundreds of variations clustered in one area. The animals here live in the High and Low Deserts, and inhabitants of the Living Desert Zoo include bighorn sheep, striped hyenas, bobcats, frogs, salamanders, and many more. A tour through Warner Bros. Studio in Hollywood is a unique opportunity to see how some of the world’s most iconic TV shows and movies have been made. Guides lead groups through some of the studio’s ten back lots and thirty soundstages, where Warner Bros. has produced some of the country’s most beloved television programs such as Gilmore Girls and Friends. The tour also includes several curated exhibits, such as DC Universe: The Exhibit, Harry Potter and Fantastic Beasts, and Batmobiles. At these and other areas, you will find original movie and TV series props and interesting facts about these cinematic projects.